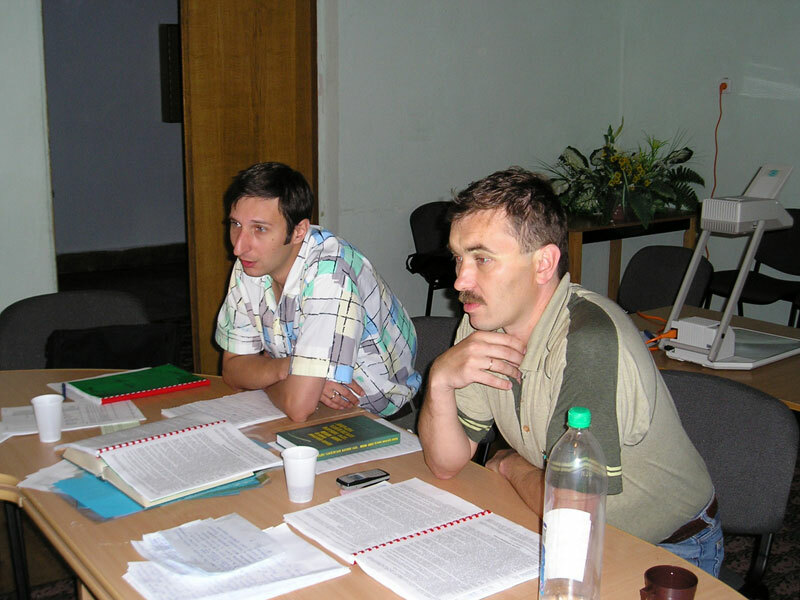 Members of Territorial election commissions (TEC) in Volyn, Rivne, Ternopil and Khmelnytskyy oblasts. 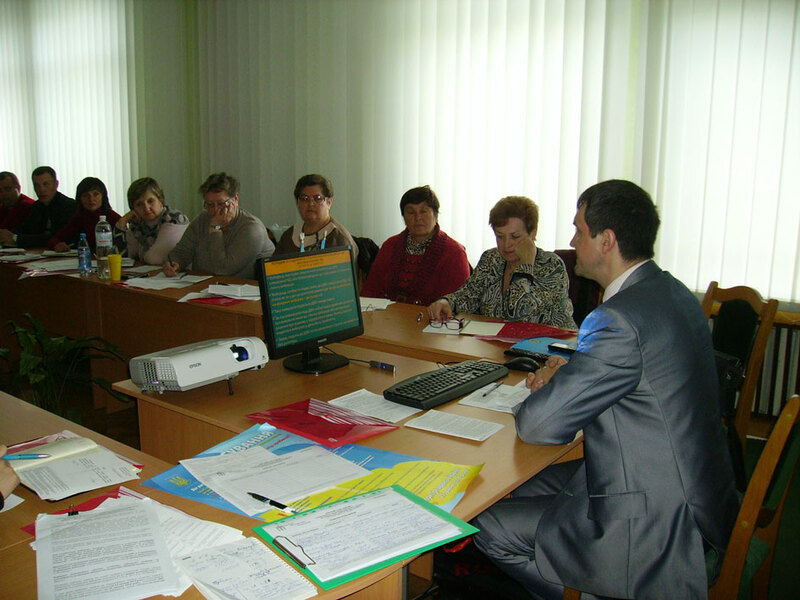 88 trainings for oblast and rayon TECs and 69 trainings for village TECs in Volyn, Rivne, Ternopil and Khmelnytskyy oblasts were conducted under the project. 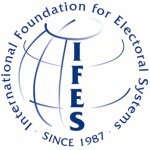 26 trainers of the organization, who passed preliminary preparation and obtained certificates of the International Foundation of Electoral Systems and Central Election Commission of Ukraine conducted trainings. In whole more then 1200 representatives of election commissions were trained in the first round and over 3600 – in the second round. 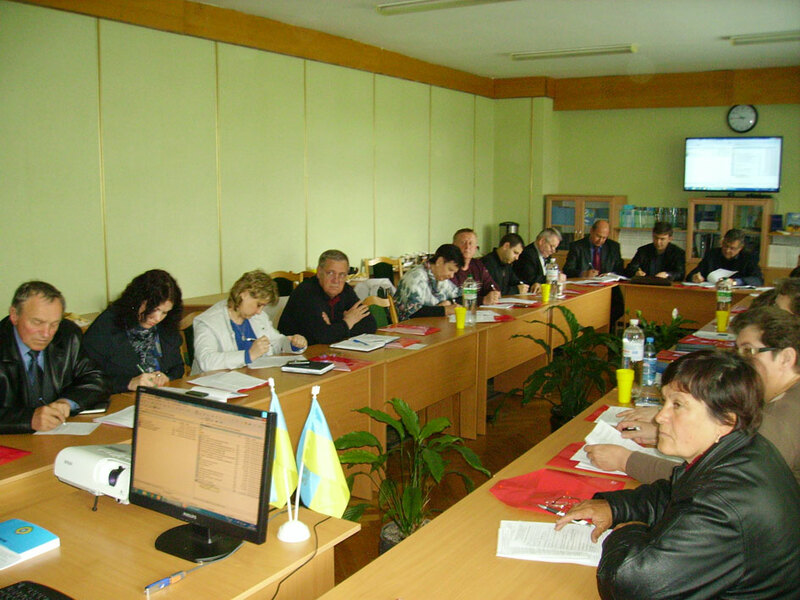 Members of district and poll station commissions in Volyn, Rivne, Ternopil and Khmelnytskyy oblasts. 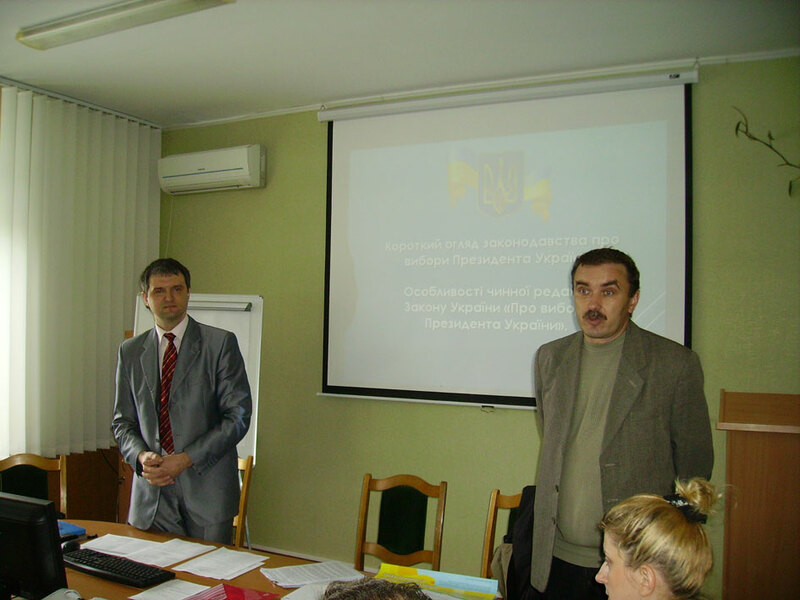 21 trainings for DEC members and 22 trainings for poll station commissioners in Volyn, Rivne, Ternopil and Khmelnytskyy oblasts were conducted under the project. 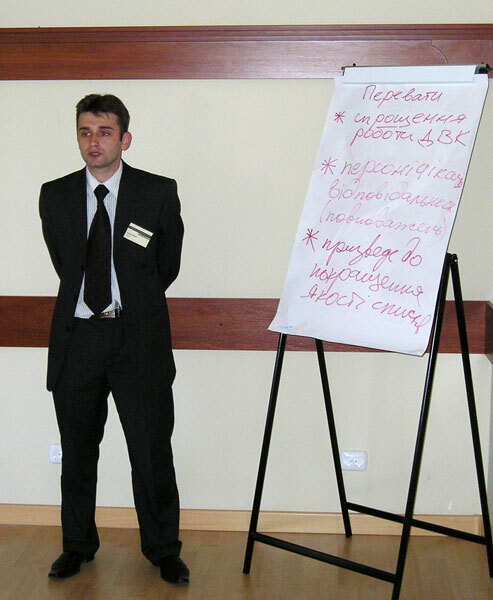 16 trainers of the organization who passed preliminary preparation and obtained certificates of the International Foundation of Electoral Systems and Central Election Commission of Ukraine conducted trainings. In whole 317 members of DECs and 2805 members of poll station commissions were trained. 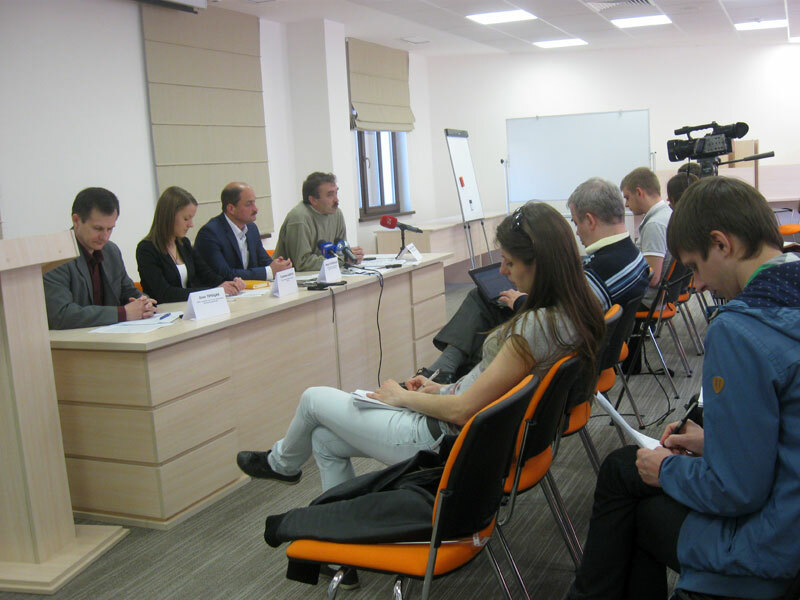 Members of poll station commissions of Volyn, Lviv, Ternopil and Ivano-Frankivsk oblasts. 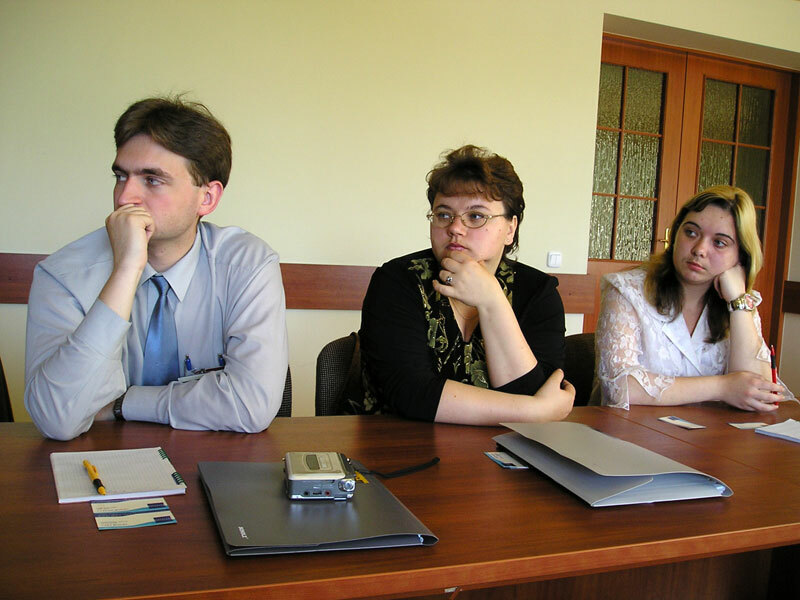 OSCE Project Coordinator in Ukraine. 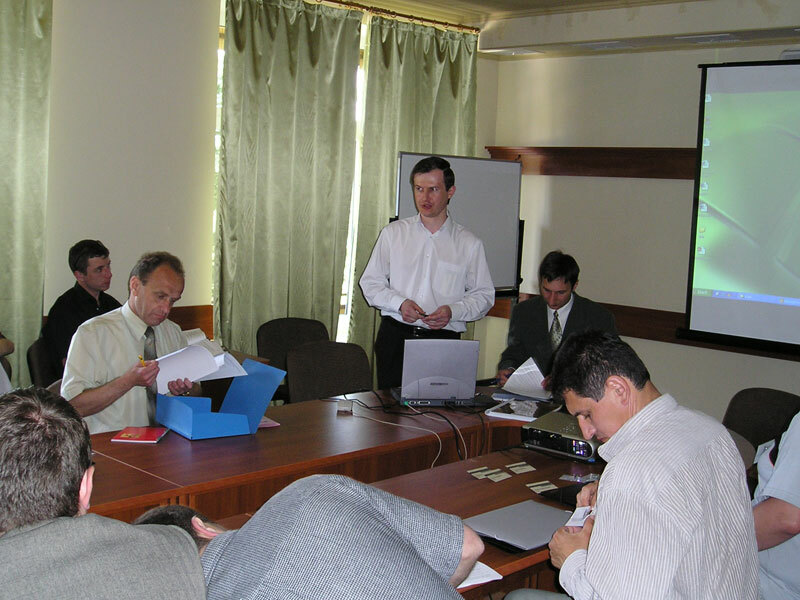 131 seminars in four oblasts of Ukraine were conducted during the period between December 24, 2009 and January 12, 2010. Over 17 000 participants have taken part in trainings. Members of poll station commissions of Volyn, Lviv, Ternopil, Ivano-Frankivsk, Zhytomyr, Vinnytsya, Sumy, Chernigiv, Mykolaiv oblasts and Crimea. 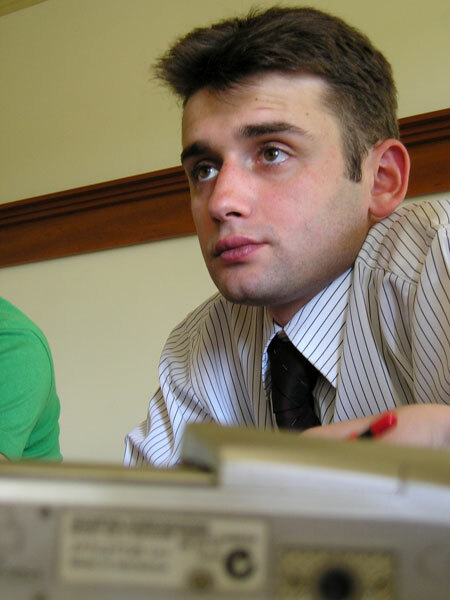 261 trainings in ten oblasts of Ukraine were conducted during two weeks. Over 33 000 people have taken part in training. 108 540,00 UAH from OSCE Project Coordinator in Ukraine. The project lasted two months. For that period more then 250 trainings wee conducted in five oblasts. At the first stage over 16 thousand prospective members of PSC participated in training and over 12 thousand of heads, secretaries and deputy heads of PSCs – at the second stage. 30 trainers of the Institute for Policy Studies who obtained certificates of the Central Election Commission and SEAU project.